The Washington Post reports, "President Trump said Thursday he would meet Chinese President Xi Jinping next month in hopes of finalizing a trade deal, even as a leading business group warned that China had offered nothing new to resolve several major stumbling blocks during two days of talks this week. Trump's decision to seize control of the negotiations raised the already high stakes in efforts to defuse a conflict between the world's two largest economies. 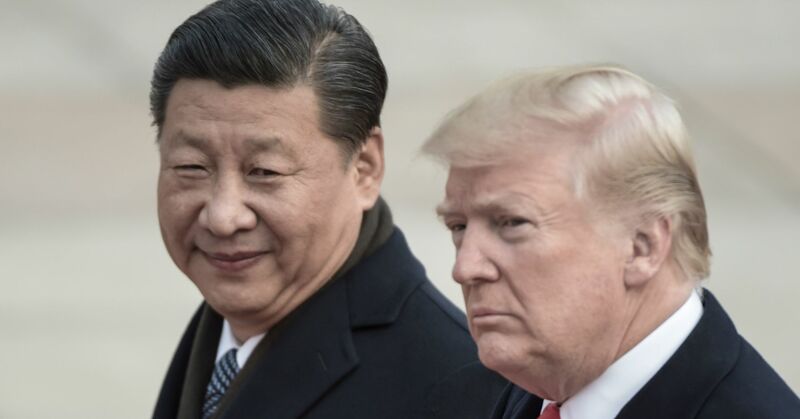 Negotiators, who have yet to prepare a draft agreement, must in the next 30 days settle issues that have bedeviled U.S. and Chinese diplomats for years, if they are to leave the two presidents with a manageable to-do list for any head-to-head bargaining." The New York Times reports, "...More than a hundred Chinese workers who once assembled and tested Apple iPhones queued up on a recent morning outside Gate 7 of the vast Changshuo electronics factory to collect their severance and go on their way. They had once hoped that their assembly line jobs would give them big enough paychecks to propel them into a better life. That was before consumers in China turned up their noses at Apple's new iPhone XR and its nearly $1,000 price. Work slowed. Overtime evaporated. And now workers are giving up. 'Usually we had 80 to 90 extra hours' per month, said Zhang Zhi, 25, who had worked two years at the factory but was now standing in the quitting line. Starting in late October, her supervisors started sending her home early and giving her two-day weekends, eating into her overtime. In December, her pay totaled about $370, roughly half what she had made in the busiest months." The Wall Street Journal reports, "Soybean futures jumped after China agreed to purchase 5 million tons of the oilseed from the U.S., though agricultural officials remained skeptical the deal would much dent a projected record U.S. soybean stockpile. The planned soybean buy, announced on Thursday in Washington, would nearly double the average monthly quantity that Chinese importers purchased in 2017 and 2016, according to U.S. Agriculture Department data. But with Chinese buyers having avoided U.S. soybeans for months up until late December, traders said much more is needed to ensure that U.S. farmers can sell what is forecast to be a record 2018 soybean crop. 'The 5 million metric ton verbal commitment means very little, in volume terms,' said Terry Reilly, senior commodity analyst with Futures International. 'But it's an indication China and the U.S. are finally making progress.'" The New York Times Blackwater Founder's New Company Strikes a Deal in China. He Says He Had No Idea. Foreign Policy Who Benefits From the U.S. Crackdown on Huawei?